Arecont Vision Costar, LLC is a US-based company founded in 2018 as a business unit of Costar Technologies, Inc. (OTC Markets Group: CSTI), based in Coppell, Texas. Learn more about Costar by clicking here. Arecont Vision Costar’s headquarters, R&D, and support operations are in Glendale, California in the Greater Los Angeles metro area. Our manufacturing is nearby in Duarte, California, while our Advanced Technology Center is located in the city of Clovis, in California’s Central Valley region. Sales offices are located throughout the Americas, Europe, and the Middle East. Download the latest Arecont Vision Costar FAQs. 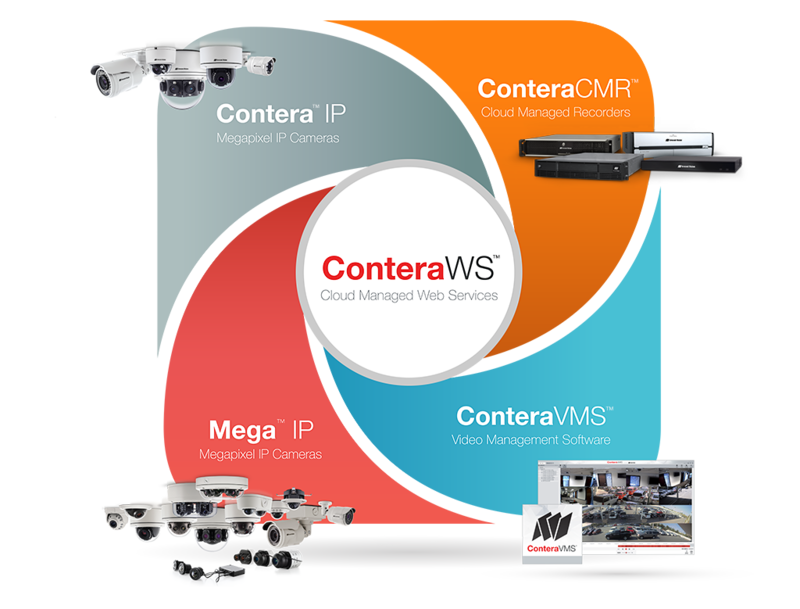 Our ConteraIP series of megapixel single- and multi-sensor IP network cameras are designed to Arecont Vision’s demanding standards and specifications to deliver world-class quality and powerful capabilities. Each ConteraIP camera is based on advanced System on a Chip (SoC) technology. We design our in-house developed Massively Parallel Image Processing (MPIP) architecture to run on a Field Programmable Gate Array (FPGA) integrated circuit at the heart of each Mega-series camera we build. The unique architecture is now in its 5th generation. ConteraVMS video management software is designed to meet the needs of today’s video surveillance. A range of versions are available to address customer budgets and system requirements, and can be used as a traditional, stand-alone video surveillance software system. When leveraging ConteraWS, our powerful web services offering, ConteraVMS delivers a more modern solution than many of our competitors, having been built from the ground up to be a cloud-based solution rather than as an add on. Both ConteraVMS and ConteraWS are Made in USA. The ConteraVMS can be used with industry-standard server platforms that follow Arecont Vision configuration recommendations, or using the scalable ConteraCMR cloud managed server series. Three of the four ConteraCMR platforms are also Made in USA. Those that follow the security industry understand that Arecont Vision is different from other surveillance solution provider manufacturer companies. Arecont Vision continues our legacy of designing the best, most advanced, and highest reliability megapixel video products in the industry. Our list of industry firsts demonstrates this ongoing commitment, unmatched by any other vendor. All Arecont Vision products offer proven product quality, outstanding imagery, superior price/performance ratios, and integration with the industry’s best VMS (video management system) and NVR (network video recorder) platforms, to address the needs of professional surveillance projects. Arecont Vision supports industry organizations such as the Security Industry Association (SIA) to promote open architecture industry standards for the betterment of all. The company supports ONVIF for integration support. Arecont Vision goes well beyond ONVIF with the Technology Partner Program’s MegaLab™ testing and integration center, frequently employed by the industry’s best VMS, NVR, analytics, infrastructure, and other product vendors. Arecont Vision Costar’s MegaIP® camera series are Buy American Act (41 U.S.C. §§ 8301-305) and Federal Trade Commission Made in USA compliant with few exceptions. Arecont Vision is compliant with the “Presidential Executive Order on Buy American and Hire American” for manufactured goods (click to view online at whitehouse.gov), as signed on April 18, 2017. Arecont Vision MegaIP series - MegaBall, MegaDome, MegaVideo, MegaView, MicroDome, and SurroundVideo megapixel camera families - are Made in USA compliant. The Mega series MicroBullet is not compliant with this standard, nor are certain available accessories. Arecont Vision ConteraVMS, ConteraWS, and Contera™ Mobile are Made in USA, as are most ConteraCMR platforms. Note that the ConteraCMR NVR appliance is not compliant with this standard. Contact Arecont Vision for more information on product and accessory compliance. Customers outside the United States can trust Arecont Vision for award-winning products and customer service proven worldwide for true Made in USA quality and innovation. Learn about who uses Arecont Vision Costar every day from any of the links below.